XLT Popular 2 trim. CARFAX 1-Owner. 4x4, Multi-CD Changer, PREMIUM CLOTH LOW-BACK BUCKET SEATS, Aluminum Wheels. 5 Star Driver Front Crash Rating. CLICK ME!KEY FEATURES INCLUDEMulti-CD Changer. 4x4, Aluminum Wheels, Keyless Entry, Privacy Glass, Child Safety Locks.OPTION PACKAGESPREMIUM CLOTH LOW-BACK BUCKET SEATS (STD).EXPERTS REPORTEdmunds Editors' Most Wanted Compact SUV. Still one of our favorites in the category. -Edmunds.com. 5 Star Driver Front Crash Rating. 5 Star Driver Side Crash Rating.WHO WE AREBaxter Ford West Dodge, a full-service Ford dealership in Omaha, is your source for new Ford cars, trucks, vans and SUVs both online and in our showroom. We also sell used vehicles and certified pre-owned Fords. At our 18505 California Street (185th & Dodge) location, we also provide parts and auto repair service. We're part of Baxter Auto, the largest dealer group in Nebraska.Please confirm the accuracy of the included equipment by calling us prior to purchase. CARFAX 1-Owner. EPA 35 MPG Hwy/24 MPG City! SE trim. iPod/MP3 Input, CD Player, Alloy Wheels, Satellite Radio. 4 Star Driver Front Crash Rating. SEE MORE!KEY FEATURES INCLUDESatellite Radio, iPod/MP3 Input, CD Player MP3 Player, Aluminum Wheels, Keyless Entry, Child Safety Locks, Electronic Stability Control.EXPERTS ARE SAYINGnewCarTestDrive.com explains Inside the Ford Focus is an aesthetically pleasing cockpit.. 4 Star Driver Front Crash Rating. 5 Star Driver Side Crash Rating. Great Gas Mileage: 35 MPG Hwy.PURCHASE WITH CONFIDENCECARFAX 1-OwnerBUY FROM AN AWARD WINNING DEALERBaxter Ford West Dodge, a full-service Ford dealership in Omaha, is your source for new Ford cars, trucks, vans and SUVs both online and in our showroom. We also sell used vehicles and certified pre-owned Fords. At our 18505 California Street (185th & Dodge) location, we also provide parts and auto repair service. We're part of Baxter Auto, the largest dealer group in Nebraska.Fuel economy calculations based on original manufacturer data for trim engine configuration. Please confirm the accuracy of the included equipment by calling us prior to purchase. PRICE DROP FROM $10,789, FUEL EFFICIENT 33 MPG Hwy/22 MPG City! Satellite Radio, Rear Air, iPod/MP3 Input, Smart Device Integration, CD Player, REVERSE SENSING SYSTEM, 204A EQUIPMENT GROUP ORDER CODE, Turbo Charged Engine READ MORE!KEY FEATURES INCLUDERear Air, Satellite Radio, iPod/MP3 Input, CD Player, Smart Device Integration MP3 Player, Onboard Communications System, Remote Trunk Release, Keyless Entry, Child Safety Locks.OPTION PACKAGES204A EQUIPMENT GROUP ORDER CODE 1.6L I4 engine, 18 premium painted sport wheels, rear decklid spoiler, leather-wrapped steering wheel, fog lamps, red stitching on armrest/center console/seats, EcoCloth interior, 1.6L ECOBOOST GTDI I4 ENGINE, REVERSE SENSING SYSTEM, 6-SPEED AUTOMATIC TRANSMISSION W/SELECTSHIFT (STD).EXPERTS ARE SAYINGCarAndDriver.com explains All-new for 2013, the Fusion wraps more technology in a sleeker package.. Great Gas Mileage: 33 MPG Hwy.A GREAT TIME TO BUYWas $10,789. Approx. Original Base Sticker Price: $23,800*.WHY BUY FROM USBaxter Ford South, a full-service Ford dealership in Omaha, is your source for new Ford cars, trucks, vans and SUVs both online and in our showroom. We also sell used vehicles and certified pre-owned Fords. At our 9203 South 145th Street (near Sapp Bros.) location, we also provide parts and auto repair service. We're part of Baxter Auto, the largest dealer group in Nebraska.Pricing analysis performed on 4/23/2019. Fuel economy calculations based on original manufacturer data for trim engine configuration. Please confirm the accuracy of the included equipment by calling us prior to purchase. FUEL EFFICIENT 27 MPG Hwy/21 MPG City! DARK GRAY, CLOTH SEAT TRIM interior, XLT trim. CD Player, Fourth Passenger Door, 2.0L DOHC SEFI I4 ENGINE, iPod/MP3 Input. READ MORE!KEY FEATURES INCLUDEiPod/MP3 Input, CD Player, Fourth Passenger Door Keyless Entry, Privacy Glass, Heated Mirrors, Electronic Stability Control.OPTION PACKAGES2.0L DOHC SEFI I4 ENGINE. Ford XLT with DARK GRAY, CLOTH SEAT TRIM interior features a 4 Cylinder Engine with 136 HP at 6300 RPM*.EXPERTS RAVEA car-based Euro-style van ideal for urban use its turning circle is more than nine feet smaller than that of Ford's own E-series the Transit Connect isn't quick, but it is capacious and customizable. -CarAndDriver.com. Great Gas Mileage: 27 MPG Hwy. Approx. Original Base Sticker Price: $23,900*.WHO WE AREBaxter Ford West Dodge, a full-service Ford dealership in Omaha, is your source for new Ford cars, trucks, vans and SUVs both online and in our showroom. We also sell used vehicles and certified pre-owned Fords. At our 18505 California Street (185th & Dodge) location, we also provide parts and auto repair service. We're part of Baxter Auto, the largest dealer group in Nebraska.Pricing analysis performed on 4/23/2019. Horsepower calculations based on trim engine configuration. Fuel economy calculations based on original manufacturer data for trim engine configuration. Please confirm the accuracy of the included equipment by calling us prior to purchase. Bright White Clear Coat exterior. FUEL EFFICIENT 31 MPG Hwy/20 MPG City! Alloy Wheels, Satellite Radio, CD Player, 6-SPEED AUTOMATIC TRANSMISSION, 2.4L DOHC SMPI 16-VALVE I4 DUAL VVT E... UCONNECT VOICE COMMAND W/BLUETOOTH. SEE MORE!KEY FEATURES INCLUDESatellite Radio, CD Player Aluminum Wheels, Keyless Entry, Remote Trunk Release, Steering Wheel Controls, Child Safety Locks.OPTION PACKAGESUCONNECT VOICE COMMAND W/BLUETOOTH auto-dimming rearview mirror w/microphone, Bluetooth streaming audio, remote USB port, 6-SPEED AUTOMATIC TRANSMISSION AutoStick (STD), 2.4L DOHC SMPI 16-VALVE I4 DUAL VVT ENGINE (STD).EXPERTS CONCLUDECarAndDriver.com's review says Better than the Sebring it replaced, attractive exterior, strong V-6 option.. Great Gas Mileage: 31 MPG Hwy. Approx. Original Base Sticker Price: $22,600*.MORE ABOUT USBaxter Ford West Dodge, a full-service Ford dealership in Omaha, is your source for new Ford cars, trucks, vans and SUVs both online and in our showroom. We also sell used vehicles and certified pre-owned Fords. At our 18505 California Street (185th & Dodge) location, we also provide parts and auto repair service. We're part of Baxter Auto, the largest dealer group in Nebraska.Pricing analysis performed on 4/23/2019. Fuel economy calculations based on original manufacturer data for trim engine configuration. Please confirm the accuracy of the included equipment by calling us prior to purchase. GREAT MILES 54,900! EPA 36 MPG Hwy/27 MPG City! Blue trim. 5 Star Driver Front Crash Rating. AND MORE!KEY FEATURES INCLUDE. Rear Spoiler, Bucket Seats, Front Disc/Rear Drum Brakes, Tire Pressure Monitoring System.EXPERTS CONCLUDEThe well-rounded Hyundai Accent provides a lot of car for the money. -Edmunds.com. 5 Star Driver Front Crash Rating. 4 Star Driver Side Crash Rating. Great Gas Mileage: 36 MPG Hwy.WHY BUY FROM USBaxter Ford West Dodge, a full-service Ford dealership in Omaha, is your source for new Ford cars, trucks, vans and SUVs both online and in our showroom. We also sell used vehicles and certified pre-owned Fords. At our 18505 California Street (185th & Dodge) location, we also provide parts and auto repair service. We're part of Baxter Auto, the largest dealer group in Nebraska.Pricing analysis performed on 4/20/2019. Fuel economy calculations based on original manufacturer data for trim engine configuration. Please confirm the accuracy of the included equipment by calling us prior to purchase. LT w/2LT trim. EPA 23 MPG Hwy/17 MPG City! Chrome Wheels, Bed Liner, Onboard Communications System, Satellite Radio, Hitch, TRANSMISSION, 4-SPEED AUTOMATIC, ELEC... ENGINE, 3.7L DOHC 5-CYLINDER SFI, TRAILERING EQUIPMENT. READ MORE!KEY FEATURES INCLUDESatellite Radio, Onboard Communications System Keyless Entry, Privacy Glass, Child Safety Locks, Electronic Stability Control, Electrochromic rearview mirror.OPTION PACKAGESTRAILERING EQUIPMENT includes (VR4) hitch (with weight distributing platform) and (UY7) wiring harness, ENGINE, 3.7L DOHC 5-CYLINDER SFI (242 hp [180.4 kW] @ 5600 rpm), 242 lb-ft [326.7 N-m] @ 4600 rpm) (STD), AUDIO SYSTEM, AM/FM STEREO with CD/MP3 player, seek-and-scan, digital clock, auto-tone control, Radio Data System (RDS), automatic volume and TheftLock (STD), TRANSMISSION, 4-SPEED AUTOMATIC, ELECTRONICALLY CONTROLLED WITH OVERDRIVE (STD). Chevrolet LT w/2LT with Dark Gray Metallic exterior and Ebony interior features a 5 Cylinder Engine with 242 HP at 5600 RPM*.EXPERTS REPORTKBB.com's review says If you like the rugged, bold look of the full-size Silverado, but want it in a smaller package that gets better fuel economy, check out the Chevrolet Colorado.. 5 Star Driver Front Crash Rating. 4 Star Driver Side Crash Rating. Great Gas Mileage: 23 MPG Hwy. Approx. Original Base Sticker Price: $23,300*.BUY FROM AN AWARD WINNING DEALERBaxter Ford West Dodge, a full-service Ford dealership in Omaha, is your source for new Ford cars, trucks, vans and SUVs both online and in our showroom. We also sell used vehicles and certified pre-owned Fords. At our 18505 California Street (185th & Dodge) locationPricing analysis performed on 4/18/2019. Horsepower calculations based on trim engine configuration. Fuel economy calculations based on original manufacturer data for trim engine configuration. Please confirm the accuracy of the included equipment by calling us prior to purchase. EPA 36 MPG Hwy/24 MPG City! LT w/1LT trim. CD Player, Onboard Communications System, iPod/MP3 Input, Turbo, Satellite Radio. CLICK ME!KEY FEATURES INCLUDETurbocharged, Satellite Radio, iPod/MP3 Input, CD Player, Onboard Communications System. MP3 Player, Keyless Entry, Child Safety Locks, Electronic Stability Control, Bucket Seats.EXPERTS ARE SAYINGCarAndDriver.com's review says Attractive cabin, tasteful styling, fuel-sipping turbocharged engine, refined demeanor, lengthy safety-equipment list.. Great Gas Mileage: 36 MPG Hwy.WHO WE AREBaxter Ford West Dodge, a full-service Ford dealership in Omaha, is your source for new Ford cars, trucks, vans and SUVs both online and in our showroom. We also sell used vehicles and certified pre-owned Fords. At our 18505 California Street (185th & Dodge) location, we also provide parts and auto repair service. We're part of Baxter Auto, the largest dealer group in Nebraska.Fuel economy calculations based on original manufacturer data for trim engine configuration. Please confirm the accuracy of the included equipment by calling us prior to purchase. SE trim. WAS $9,999, EPA 38 MPG Hwy/28 MPG City!, PRICED TO MOVE $1,800 below NADA Retail! CD Player, iPod/MP3 Input, Satellite Radio. READ MORE!KEY FEATURES INCLUDESatellite Radio, iPod/MP3 Input, CD Player MP3 Player, Remote Trunk Release, Keyless Entry, Child Safety Locks, Alarm.EXPERTS RAVEThe Elantra sedan has a large 14.8-cubic-foot trunk, which is more capacity than most rivals, and the liftover height is low. -Edmunds.com. Great Gas Mileage: 38 MPG Hwy.A GREAT TIME TO BUYWas $9,999. This Elantra is priced $1,800 below NADA Retail. Approx. 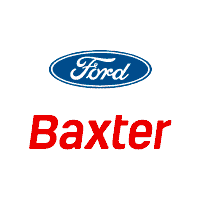 Original Base Sticker Price: $18,200*.BUY FROM AN AWARD WINNING DEALERBaxter Ford South, a full-service Ford dealership in Omaha, is your source for new Ford cars, trucks, vans and SUVs both online and in our showroom. We also sell used vehicles and certified pre-owned Fords. At our 9203 South 145th Street (near Sapp Bros.) location, we also provide parts and auto repair service. We're part of Baxter Auto, the largest dealer group in Nebraska.Pricing analysis performed on 4/15/2019. Fuel economy calculations based on original manufacturer data for trim engine configuration. Please confirm the accuracy of the included equipment by calling us prior to purchase. Steel Silver Metallic exterior and Platinum Gray interior, X Limited w/Nav trim. FUEL EFFICIENT 26 MPG Hwy/20 MPG City! Nav System, Heated Leather Seats, Panoramic Roof, POPULAR EQUIPMENT GROUP 4B, Aluminum Wheels, All Wheel Drive CLICK NOW!KEY FEATURES INCLUDELeather Seats, Navigation, Panoramic Roof, All Wheel Drive, Heated Driver Seat. MP3 Player, Aluminum Wheels, Privacy Glass, Keyless Entry, Child Safety Locks.OPTION PACKAGESPOPULAR EQUIPMENT GROUP 4B auto-dimming mirror w/compass, HomeLink, puddle lights. Subaru X Limited w/Nav with Steel Silver Metallic exterior and Platinum Gray interior features a 4 Cylinder Engine with 170 HP at 6000 RPM*.EXPERTS RAVEIIHS Top Safety Pick. Edmunds.com explains a top pick in the highly competitive small SUV segment. 5 Star Driver Front Crash Rating. 5 Star Driver Side Crash Rating. Great Gas Mileage: 26 MPG Hwy.VISIT US TODAYBaxter Ford West Dodge, a full-service Ford dealership in Omaha, is your source for new Ford cars, trucks, vans and SUVs both online and in our showroom. We also sell used vehicles and certified pre-owned Fords. At our 18505 California Street (185th & Dodge) location, we also provide parts and auto repair service. We're part of Baxter Auto, the largest dealer group in Nebraska.Horsepower calculations based on trim engine configuration. Fuel economy calculations based on original manufacturer data for trim engine configuration. Please confirm the accuracy of the included equipment by calling us prior to purchase.